Elegant ideas for any budget. The products in this post were updated in October 2017. 1. A container of delicious gummies that taste like fizzing Prosecco. Get them from Amazon for $15.21. 2. Rose-infused scrub for any wannabe Parisian. Get it from Amazon for $44. Promising review: "Delicate scent and I love that it not only exfoliates your skin but also moisturizes it with the coconut oil. The only scrub I've ever tried that does that — definitely a must have in a beauty regime!" —Cheryl W.
3. A chandelier jewelry stand that'll make their baubles look even more glam. Get it from Amazon for $16. Also available in white. 4. Diamond-shaped glasses perfectly designed for swirling and savoring*. *And pretending to be an expert on the beverage within. Get a set of two from Amazon for $22.87. 5. Flamingo slippers for only the most elegant ~birds of a feather~. Get them from Amazon for $19.99+. Sizes: S–XL. 6. A book of cocktail recipes to turn any Thursday night at home into happy hour in New York City. You can also get it at Amazon for $17.97. 7. A pretty ornament for anyone who wishes they could have champagne at a moment's notice. Get it from Lisa Golightly on Etsy for $22. You can also get an ACTUAL framed button that ACTUALLY rings for $125. 8. A perfume spritzer that'll make any perfume smell like Chanel No. 5. 9. A set of cocktail glasses for anyone who knows how to be absolutely fabulous. Get a set of two from Amazon for $24. Also available in five other sayings. 10. A plate that can be served only to the most distinguished of dinner guests*. *Or used for midnight slices of chocolate cake. Get it from Lulu & Georgia for $16. 11. A champagne cocktail traveling kit to make the middle seat feel like first class. "Sorry if my elbows get in the way, I really need to stir this elderflower syrup into my champers." 12. A veiled beanie that adds serious drama to any winter outfit. Get it from Pretty Little Attire on Etsy for $21.85. 13. A pack of sheet masks with actual 24K gold in them for anyone who wants an at-home spa. Get a six-pack of masks from Sephora for $68. 14. An inflatable frame that'll turn a selfie into a true self-portrait. Get it from American Eagle for $11.50 or Amazon for $8.31 (with free shipping). 15. 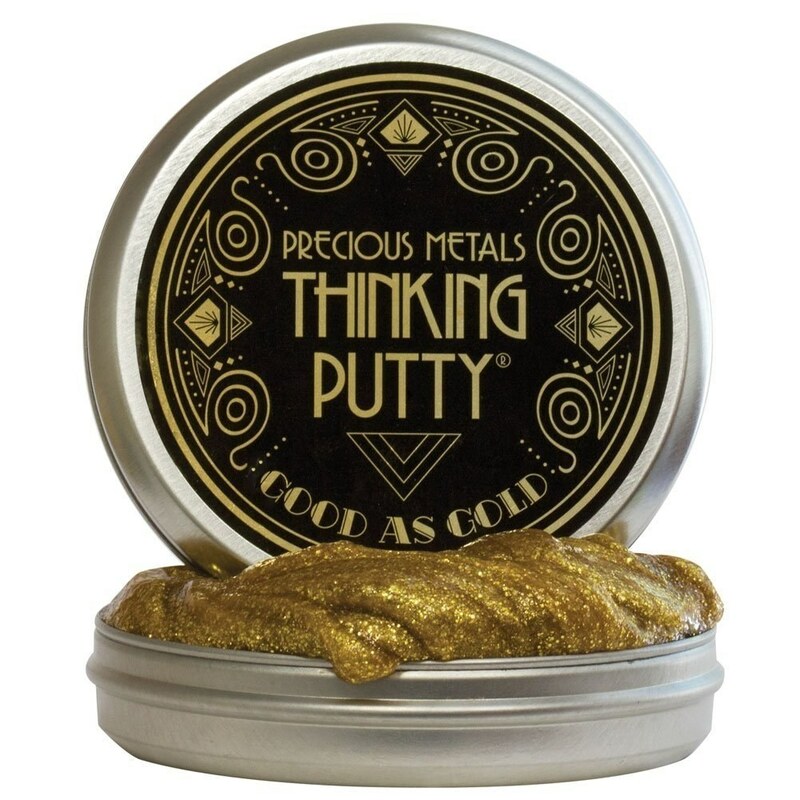 Glittery thinking putty for anyone who needs some golden ideas. Get it from Amazon for $9.99. Available in six colors. 16. A bracelet that'll turn a hair tie into a piece of statement jewelry. Get them from Amazon for $11.89 each. 17. A golden dispenser to fill with the most delicious-smelling lotion or soap. Get them from Amazon for $22.50+ each. Also available in silver. 18. A wine guide that will turn any con artist into a connoisseur. Get it from Amazon for $9.13 (hardcover) $8.67 (Kindle). 19. A crystal bottle stopper for anyone who likes to ~rock on~ with a glass of wine every night. 20. 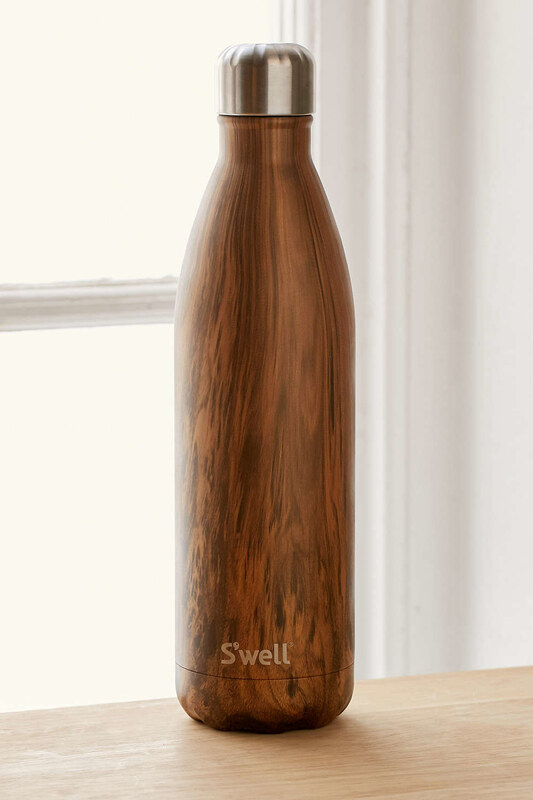 An elegant water bottle that'll make staying hydrated even more stylish. 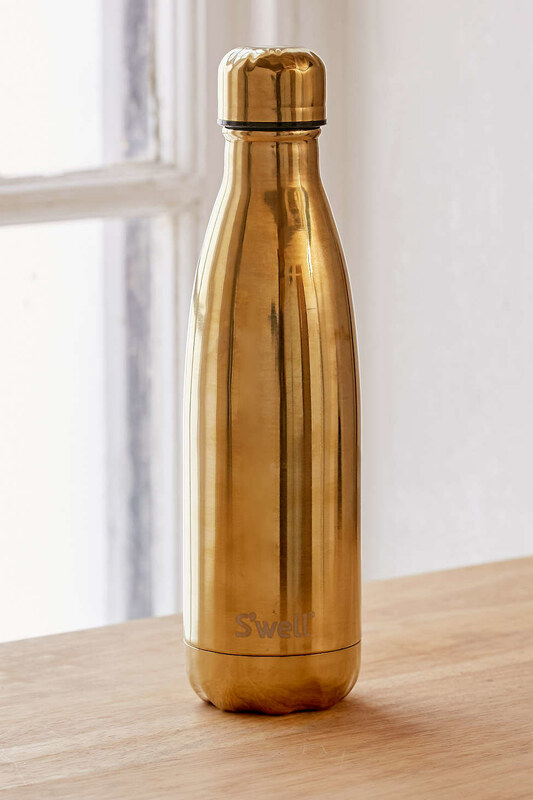 Plus it'll keep your beverage cold for 24 hours (or hot for 12), and even keeps carbonation fresh! Get them from Amazon for $35 (wood here and gold here) or Urban Outfitters for $35 (wood here, metallic silver, gold or rose gold here). 21. A stag bust whose crowning glories are beautiful pieces of jewelry. Get it from Wall Charmers on Etsy for $42.50. Check out the whole selection of animals and colors here.